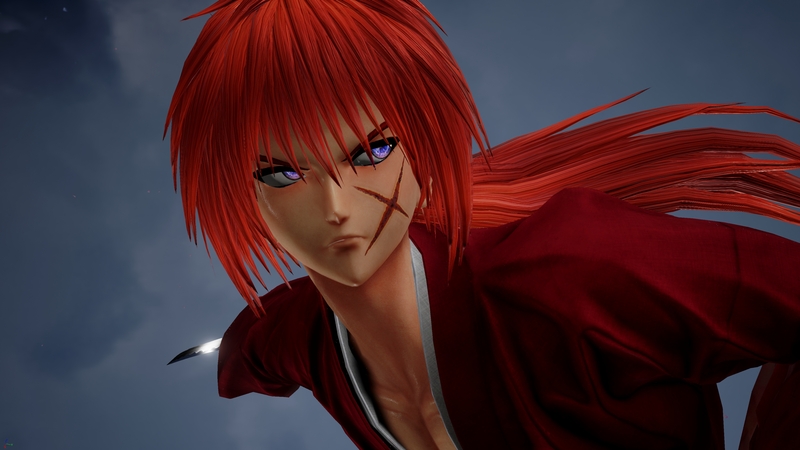 The first images of Rurouni Kenshin‘s Himura Kenshin and Shishio Makoto in Bandai Namco’s Jump Force have been revealed. As you may recall, they were recently revealed as playable characters. They show the popular manga’s protagonist and antagonist using attacks fans should recognize. In a closeup shot, it looks evident that Kenshin is in fact using his nonlethal sakabatō, true to his character. Meanwhile, Shishio is seen igniting his sword by scraping it against his bandaged arm. For anyone unfamiliar with the franchise, Kenshin is a former assassin, now wandering ronin, who fights to protect the weak, but refuses to seriously harm or kill his opponents. To avoid such injury, he fights with a weapon called sakabatō, which was specially made to have the sharp side and blunt side of the blade reversed. Shishio Makoto is the primary antagonist of the Rurouni Kenshini franchise (also referred to as Samurai X, due to the X-shaped scar on Kenshin’s face). He was Kenshin’s successor as an assassin, but the government feared him and attempted to kill him by covering him in oil and setting him on fire. He survived, but has to wear bandages across his whole body. (This was before we had the technology to make Darth Vader suits). As such, many of his attacks involve generating flames by rubbing his sword against his body. If any further Rurouni Kenshin characters are added, the most likely candidates would be Sanosuke Sagara and/or Saito Hajime. Makimachi Misao is another possibility, but she is quite a longshot. Who would you like to see added from Rurouni Kenshin or another franchise?